Get ready for some film magic!! I met Tasha (the beautiful mama pictured here) at a meeting for Rising Tide Society, an awesome group of creative business owners. She brought her whole adorable family, and I knew immediately I needed them in front of my camera! 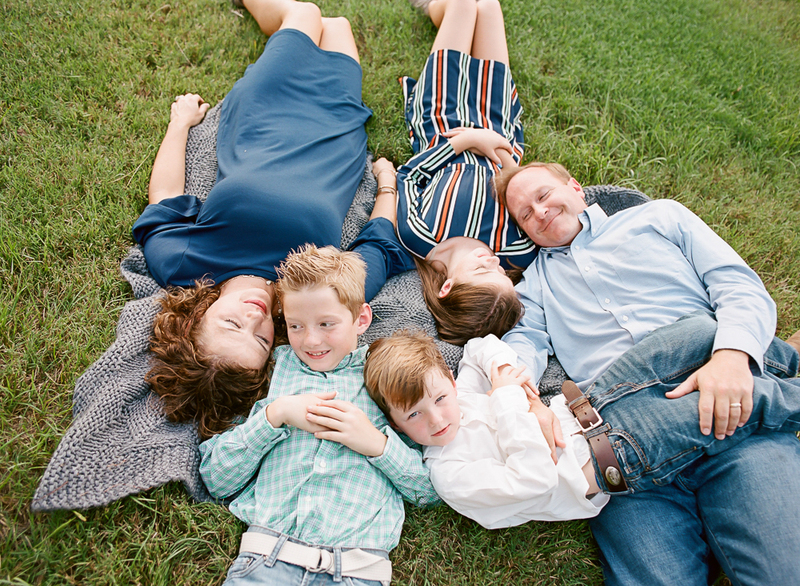 Meet the amazingly beautiful Yancey family, party of 7! This was my largest immediate family session EVER! Happy 2019 friends!! Now that the Christmas cards are out, I think it’s safe to share a few of my favorites from my fall sunset mini sessions. I have photographed this beautiful family for several years each fall. This year was my first offering longer fall mini sessions (that included film!) and this happened to be the very first one. Sweet Caroline (sorry, I had to). She could not be any more of a little doll! Both of my baby plans include these milestone mini sessions when baby is around 6 and 12 months old. When I first started taking clients, I was obsessed with finding the perfect locations for each session. A beautiful mama with her babies. Light. Film. Holding hands. A toy car with mama's arm for a road. Snuggling up. A gentle touch. Magic everywhere. It's been a year of growth for me, and I've been experimenting with more in-home family sessions, where kids feel comfortable, and where so many of our family memories are made.